Danish composer, vocalist and classically trained multi-instrumentalist, Myrkur, is the project of Amalie Bruun, who unveils two ethereal new studio tracks with producer Jaime Gomez Arellano (Ghost, Paradise Lost, Solstafir) at Orgone Studios in Bedfordshire, England. A-Side “Juniper” is a gorgeous and powerful ballad that immediately hooks the listener with it’s infectious chorus and lush string arrangements while “Bonden og Kragen” is a solo reinterpretation of a traditional Danish folk song from the 1600’s. Together, both tracks exquisitely capture Myrkur’s eclectic sound and captivating personality. Myrkur’s 2017 sophomore album ‘Mareridt’, was released to soaring, worldwide critical acclaim from NPR, Rolling Stone, FACT, The Guardian, Revolver, Paste, Decibel, Kerrang! and many more. Since then, she’s toured the globe, including direct support slots for The Smashing Pumpkins, Marilyn Manson, Enslaved and more. 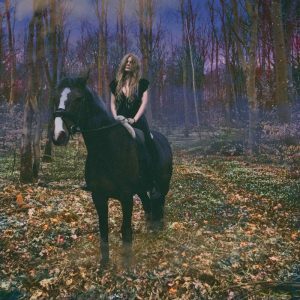 Myrkur is currently on her first headlining European/UK run with sold out dates in Copenhagen, London, Bristol, Vienna, Glasgow and has confirmed performances at Primavera and Roadburn 2019 festivals. Check below for a full list of dates.